In mid-November, 14 bankers attended a two-day session hosted by the BancAlliance Consumer Loan Program, with attendees generally split between current and prospective program participants. The first day of the session covered the services provided by Alliance Partners, and featured both Alliance Partners’ staff and third-party experts discussing the program’s performance and compliance expectations. Peter Olszewski, the attorney representing the firm Buckley Sandler, who helped write the legal and compliance review, spent time talking about the current state of the industry and answering numerous questions from attendees. Both current and prospective participants in the consumer loan program were in attendance – which sparked a good deal of back and forth between the two groups. This healthy dialogue provided a number of practical suggestions about the program’s implementation. Later that night, bankers unwound at the Hidden Vine wine bar, and some of the prospective program participants continued asking questions of the current program participants, offering opportunities to compare best practices in day-to-day program management. Sadly, the now regular (and famous!) bocce game at Hidden Vine had to be cancelled due to rain. Hopefully we can pick it back up on the spring trip! 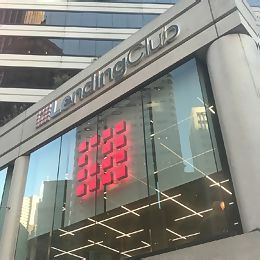 The second day of the session was devoted to an on-site visit to LendingClub – kicked off by LendingClub’s Chief Executive Officer Scott Sanborn. During his talk Sanborn provided an overview of the company and its growth potential, and explained the value LendingClub places on community banks as partners. Sanborn emphasized the importance of the BancAlliance partnership and also spent considerable time answering questions from the attendees. The balance of the day was devoted to members of LendingClub’s various departments (credit, servicing, marketing, and others) – who provided overviews of their roles in the company process. Highlights of the presentations included a presentation from Sid Jajodia, LendingClub’s Chief Investment Officer, who walked through the company’s approach to credit, and described its strategy for preserving investor returns through the next cycle. Jerry Chou, LendingClub’s Compliance Director, walked through how the company keeps up with ever-changing federal and state regulations. The hit of the day (judging by the rapt attention throughout the room) was a discussion led by Eric Kinney, LendingClub’s Head of Enterprise Fraud. Kinney described how LendingClub uses industry tools and proprietary software to protect against fraud; and he discussed the robust process that supports LendingClub’s guarantee to repurchase a loan if it is determined to be the result of identity fraud. For instance, Kinney walked attendees through an example of a loan applicant using a Texas address who applied for financing through a computer with an international IP address. This is an immediate red flag. LendingClub utilizes methods like these to identify questionable loan applications, and additional processes to determine if such a loan is indeed fraudulent. Kinney and his team discussed how they have partnered with other lenders to form a working group that shares information about different fraud schemes they have detected – a different take on sharing of best practices. It was fascinating to see how Kinney and his team operate! The final day of the due diligence seminar concluded with a tour through LendingClub’s offices, which feature an in-house coffee bar, a gym, a breakfast food buffet, and of course a variety of ice cream options! Based on initial survey results, the bankers in attendance found the due diligence visit helpful in assessing LendingClub’s program, and learned more about the value of conducting new and ongoing due diligence as part of their vendor-management programs. If you’re considering the program, or are currently in the program, we expect our next diligence session will be held in early spring. Stay tuned, an official date will be sent out shortly.